When you’re preparing to go abroad for an extended period, whether for travelling or to study, it’s important to have your finances in hand, so you can spend your time exploring new places and meeting people, rather than stressing out over money. 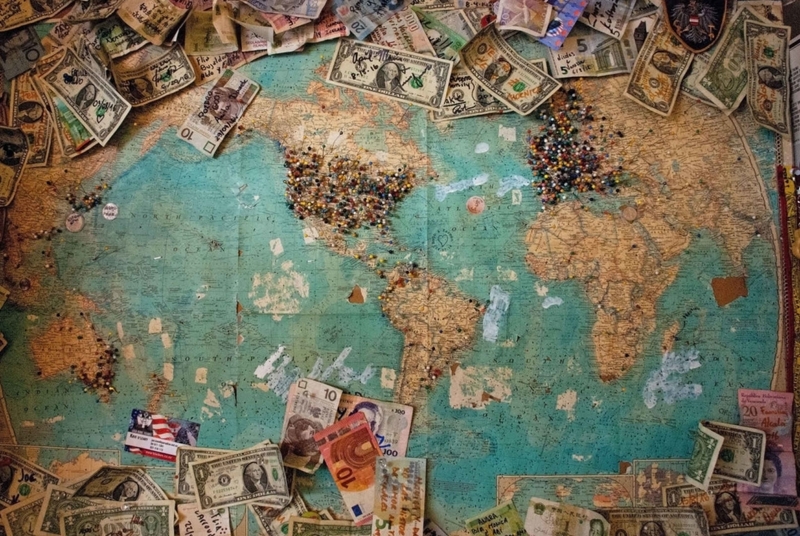 During my round the world adventures I’ve picked up some useful tips for how to manage your money while travelling, which I will share with you now. If you are planning a trip abroad, your most expensive initial outlay will likely be your flight, followed by travel insurance. But what about the day to day costs – is it possible to anticipate them? How can you calculate how much money you might spend in one week, one month, one year? My top tip is to visit a website, cunningly named Budget Your Trip. Here, you can select the country you’re going to and your travel style (budget, mid-range or luxury) and the site will estimate your average daily expenses. As well as breaking down the figures into individual costs (accommodation, food, etc), it gives you some helpful practical tips about your destination. As life doesn’t always go exactly to plan, I would suggest adding 10-15% to the daily costs they outline and make that your basis for an estimated weekly or monthly spend. I used this site to plan my budget for my travels in India, South East Asia and New Zealand and it was pretty accurate every time. In fact, in some places I even came in under budget, so I was able to spend an extra few days there without worry. Bonus. Credit cards, debit cards, prepaid currency cards. There are so many cards to choose from these days. What it’s important when you’re abroad is to know which ones will land you with charges if you try and withdraw money or make a purchase in a different currency. These costs can quickly add up and should be factored into your expenditure. My advice is to buy a prepaid currency card or travel money card and use this for the lion’s share of your cash withdrawals and transactions. Companies offering these cards include Travelex and Moneycorp, and they can often be picked up at a travel agent or at the airport. As always, check the terms and conditions, but often these cards will give you a good exchange rate and their fees, if any, should be less than your usual debit or credit card (darn those pesky banks). That said, I will always carry my other cards with me as a backup. They’re useful where currency cards aren’t accepted, such to give to a hotel or car rental company for insurance, or for online purchases in your own currency. Another tip is, where possible, to ensure you have one Visa card and one Mastercard, to make sure you’ve covered your bases. And it’s always worth keeping an eye on your ongoing card accounts, to ensure there are no surprises at the end of the month. When you are travelling abroad, always carry cash. In most of North America and Europe, we live in a card-happy society, but in parts of Asia you may find yourself walking a mile to the nearest cash machine, only to find it’s faulty. If you’re in need of a taxi ride or to pay a bill, you will need something to give the money changer who only accepts paper money – even if it’s just a few emergency dollars. Wherever you are, bear in mind that not everywhere will have working card machines and some that do will charge you for using them, so always be prepared to pay in notes. Cash really is king. Spreadsheets may be your arch-enemy and Excel may make you hurl, but it pays to get acquainted with rows, columns and sums, as creating a budget sheet will be your best friend when it comes to peace of mind for your finances. Remember the daily expenses planning from tip number one? It’s time to put it in action and set up a sheet that will let you know how your spending is panning out compared to your weekly or monthly estimated costs. There are budget sheet templates available via Google, so download one that makes sense to you. Once you’ve done this, you might want to develop it further with sums to calculate the spend per category, actual average daily spend and more. This is your document to play with, and with this information you can see which categories are making up the majority of your spend. Do you need to cut down on those Starbucks coffees or take public transport instead of taxi rides? It’ll all be here to guide you. You might even develop a new-found fondness for Excel. Maybe. Travelling is supposed to be fun and you don’t want to spend all your time surrounded by transaction receipts and tapping on your calculator into the night. That isn’t what this is all about. What we’re trying to avoid here is the heart-pounding, brow-moistening fear of not being in control of your money and the feeling that it could be slipping from your grasp. Follow these few simple tricks and you will be ahead of the game. Take the time to understand what you’re spending your money on, what your priorities are – essential versus non-essential spend – and you’ll know when to think twice about pulling out your wallet. And if you find yourself well within budget, then go ahead and book that extra trip to that place you’ve always wanted to go. 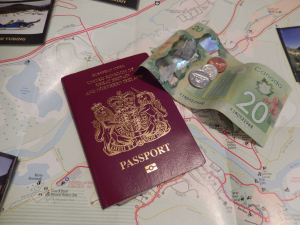 Proper budgeting = happy travelling.